I've been so excited for this shoot and before I show you some of the final images I wanted to show you what we get up to behind the scenes. This was a dark theme, in keeping with what's happening at the end of the month that we all love to get involved with, Halloween! 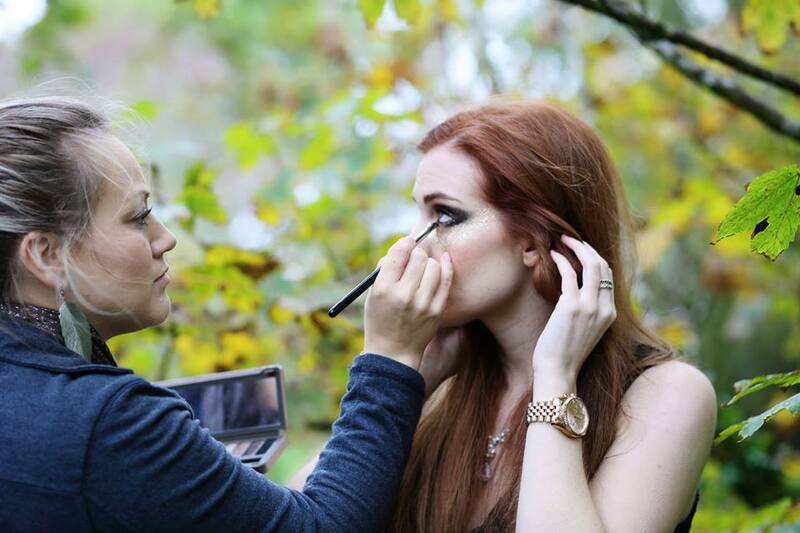 Working with a new Make Up Artist, Lindsay Adams was an absolute pleasure. I love meeting new people through modelling as everyone has different visions of what they think it will look like, everyone in the space is a creative and it's just amazing to see everyone get so into the shoot and contribute ideas. 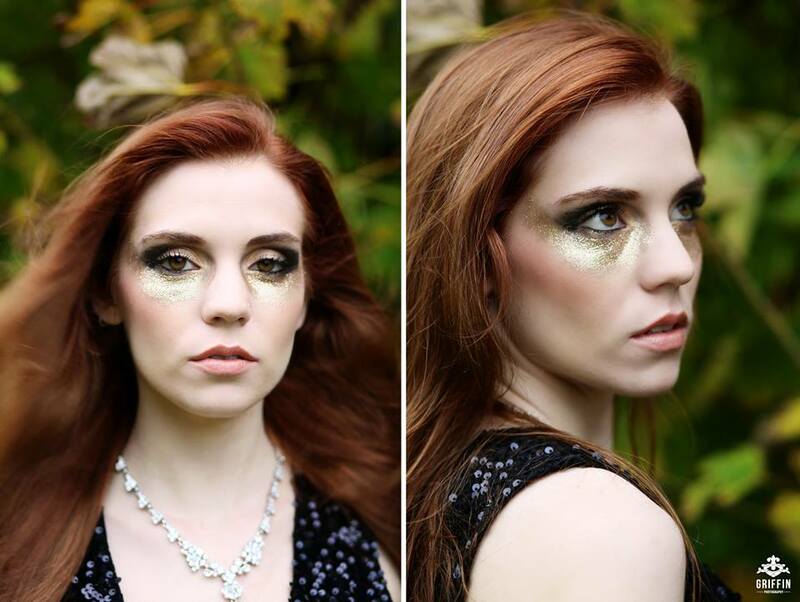 The make up for this was stunning and who doesn't want their face covered in glitter? I love it! Which was paired beautifully with a necklace and bracelet by GlitzySecrets who have seriously gorgeous designs. More photos from this coming very soon!